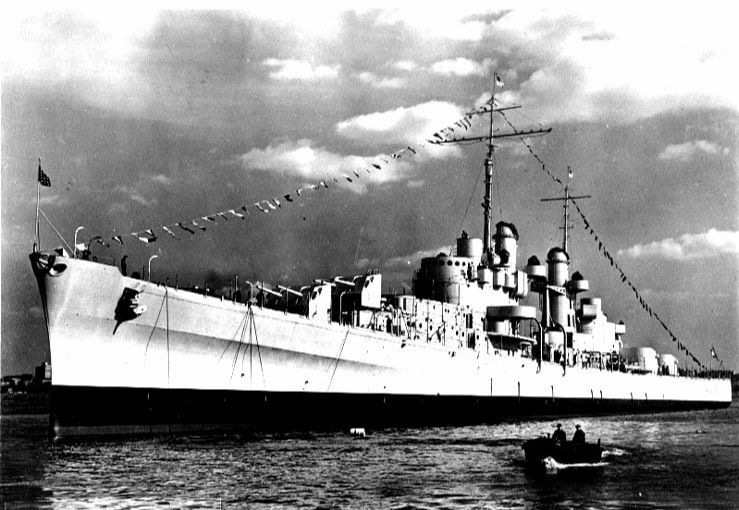 The USS Juneau was painted in 3 different camouflage patterns in her time afloat. Below I will give the history of the Juneau's appearance over time. 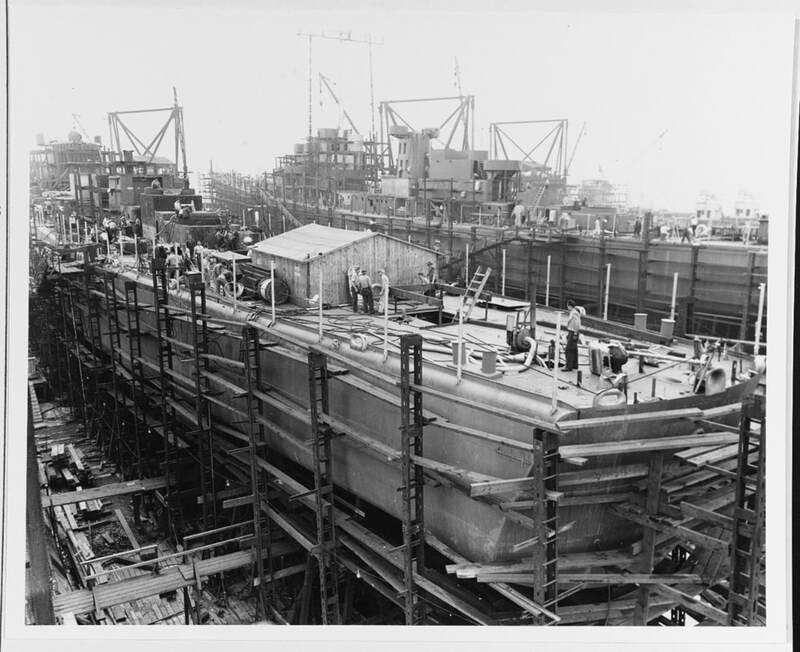 Here is the Juneau on September 1, 1941. She is painted in primer while she is being built. This photo was taken just after launch. Ship is in standard light gray color. This photo was taken just after launch. She is painted in a standard light gray color. 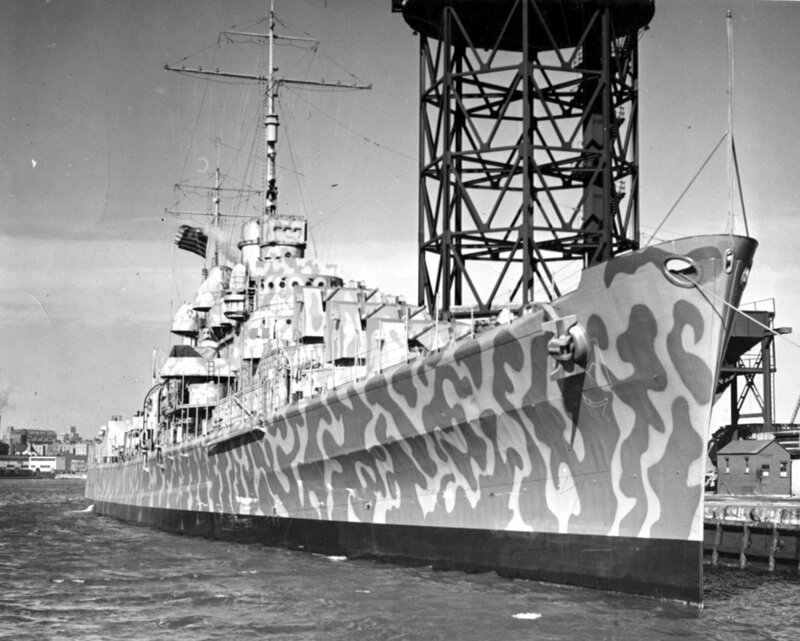 Juneau's second paint scheme shown here on the day of her commissioning. She is the first US Navy ship to be commissioned in camouflage. She appears to be painted in a modified measure 12 scheme. 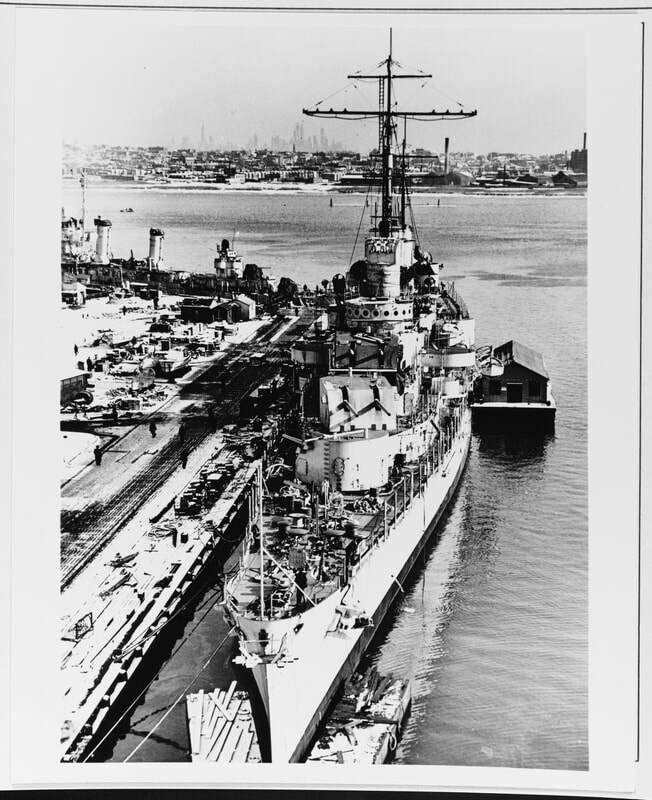 She was painted sometime after mid January, probably after February 11, the day she was delivered to the New York Naval Shipyard (Brooklyn). The Juneau's hull is painted in a experimental camouflage under the direction of LCDR Charles Bittinger. This hull painting would be her last. The painting was started around May 29. On June 15 the crew started painting what was to be her last superstructure pattern. The Juneau's war diary states: "......commenced painting a new camouflage on superstructure consisting of alternating irregular patterns of haze gray and off white." Unfortunately no clear pictures exists of this pattern, I suspect it is the same as before with the colors changed. 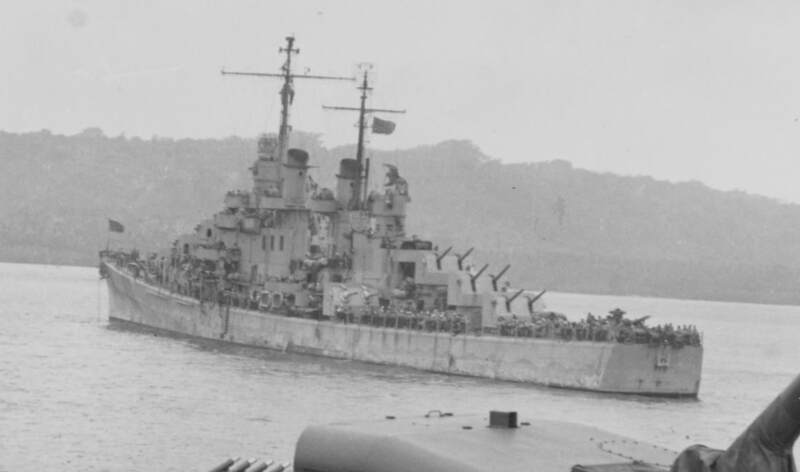 This photo is of the Juneau as she appears in the background of a photo, She can been seen to still be painted in the "Wave" pattern of May 1942. The superstructure is not clear due to the distance and the similarities of off white and haze gray to a black and white camera. 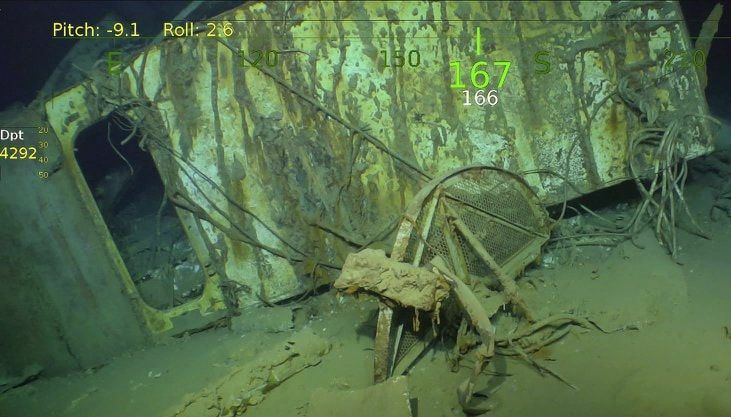 Here is the wreck of the Juneau as discovered. This is a photo of the forward gun director. Here you can plainly see the off white / haze gray paint that was painted in June 1942. 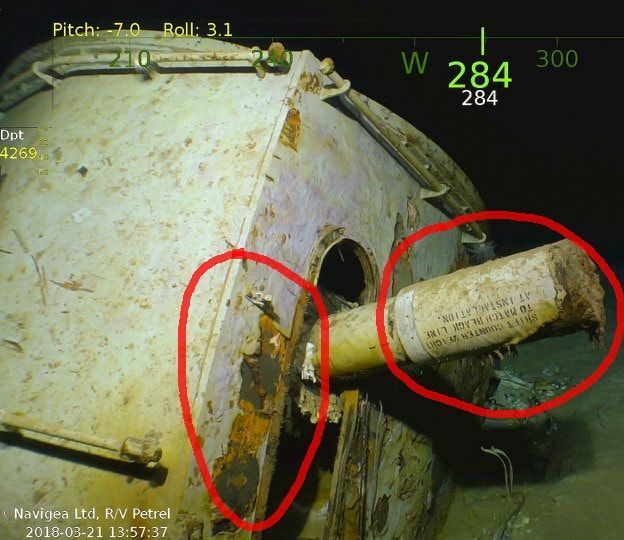 Here (left circle) you can clearly see that some of the paint peeled off revealing the primer below (more on this later) On one of the rangefinders (right circle) you can plainly see the stenciled words, just as they appeared in 1942. The paint and stencil looks substantially the same as it did 76 years ago. 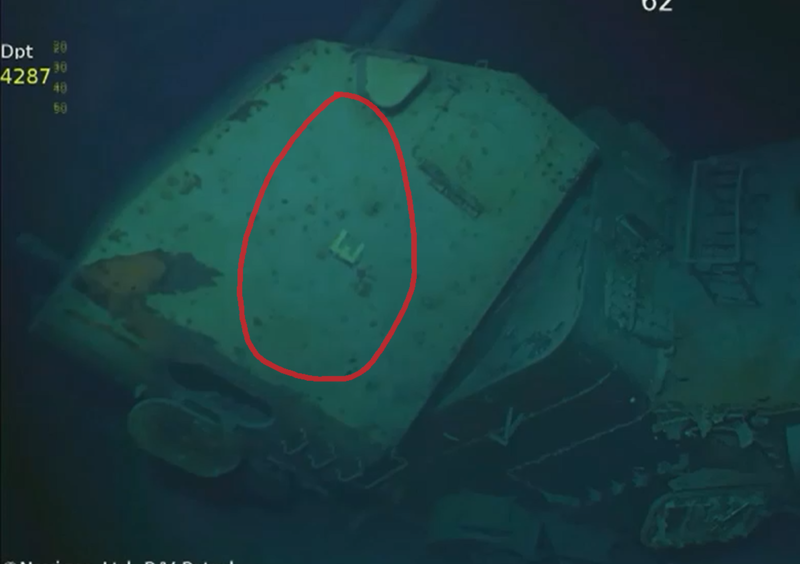 Here is a photo of turret 6 clearly showing the painted on battle "E" (circled) and the off white / haze gray color. Above is the aft director, here you can see a lot of the off white / haze gray has peeled off revealing the primer, blue oxide. 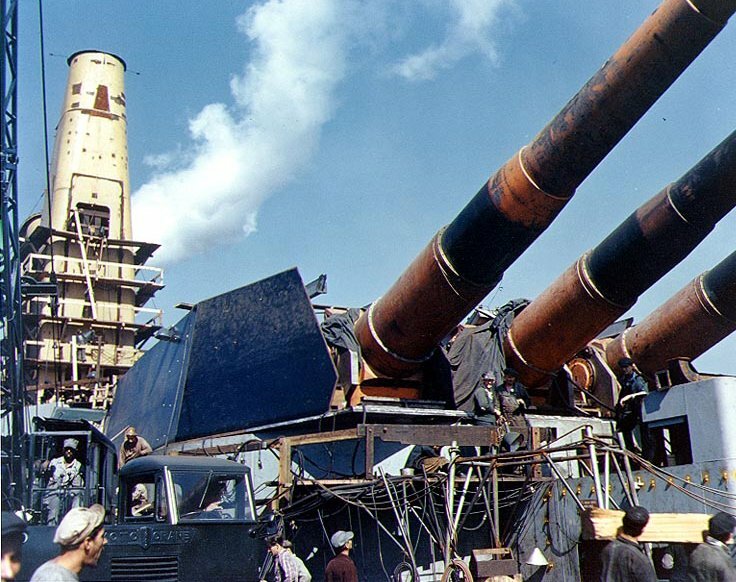 To the right is a picture of the USS Iowa's turret painted in blue oxide in 1942. The yards tend to paint their armor plates in blue oxide. Sailors used called the primer "blue death" when they had to wire brush it off. 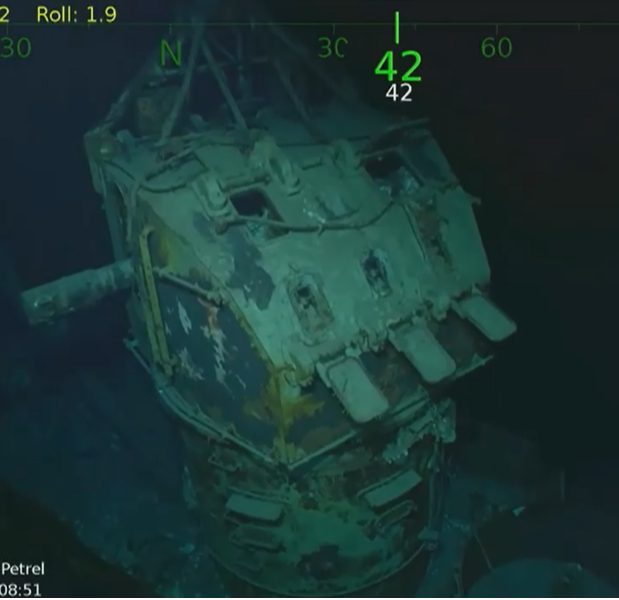 ​Here is part of the superstructure (likely the chart house) deck housing that also clearly shows the off white / haze gray paint. Here is a photo of the same area 76 years apart. 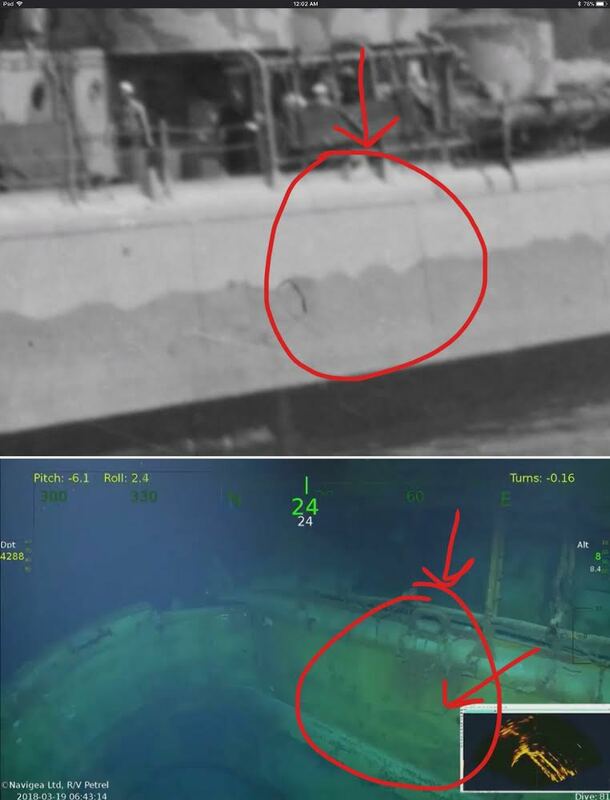 Top photo is from May 1942, the bottom photo is of the wreck 2018. The photos clearly show the area around the closed chock at frame 70. The wave pattern is exactly the same shape in both photos. The measurement from boot top to the top of the wave pattern is the same percentage of the distance from the boot top to the chock in both photos. Meaning that the wave pattern is exactly the same and has not been painted over. 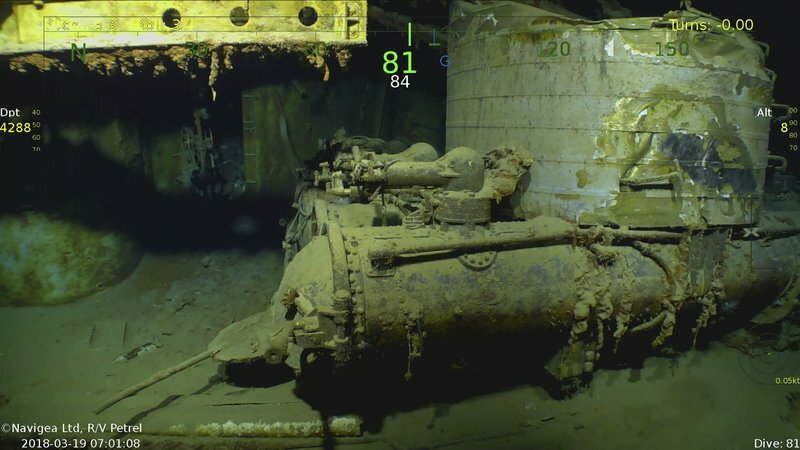 ​Here is the area of the port side torpedo tubes, The off white / haze gray can be clearly seen on the splinter shield on the right, and on the curved part of the wall of the crew quarters in the superstructure on the left.